Stubborn hair has met its match! This professional hair straightener is designed for you to easily and effortlessly style your hair while still protecting it. The straightener’s vibration mode allows for smooth passes while tilting heat and cushion plates further protect your hair. 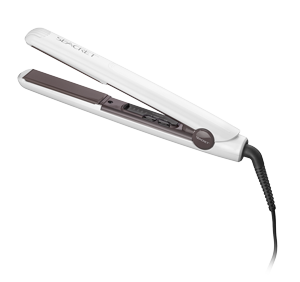 With a 30 second heating time and variable temperature control, you’ll love what this straightener can do for you!